Continuing their participation with the Marin Comics Fest, San Francisco’s Cartoon Art Museum with be hosting Ben Costa and James Parks of Rickey Stitch for an installment of the Cartoonist In Real Life visiting artist program on Saturday, September 22nd, from 2pm – 4pm. The Cartoon Art Museum hosts its visiting artist program, Cartoonist IRL (In Real Life) with guest cartoonists Ben Costa and James Parks at the Cartoon Art Museum at 781 Beach Street on Saturday, September 22, 2018, from 2pm to 4pm. Presented by the Marin Comics Fest, Ben Costa and James Parks, creators of Rickety Stitch, will share their creative process, draw, chat or answer questions about what it is like to be a cartoonist. The pair will be signing Rickety Stitch books in the Bil Keane Family Lobby following their presentation in the museum galleries. Regular museum admission required for this special presentation. Book signing attendance is free. 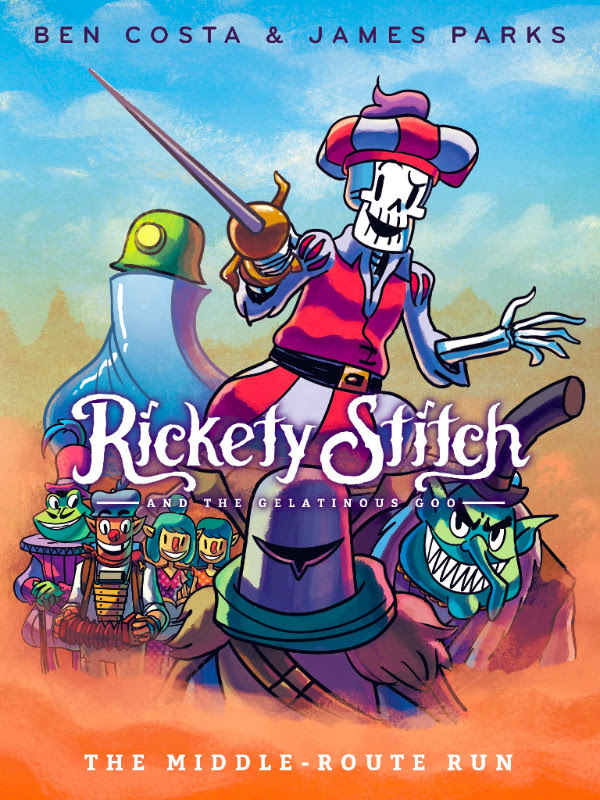 Tag along with skeleton minstrel Rickety Stitch and his sidekick Goo as they search for clues to his past. Join longtime friends and creators Ben Costa and James Parks in the museum gallery as they discuss the origins of this amusing and offbeat saga. The pair will be signing Rickety Stitch books in the Bil Keane Family Lobby following their presentation. You can learn more about Rickety Stitch at ricketystitch.com. 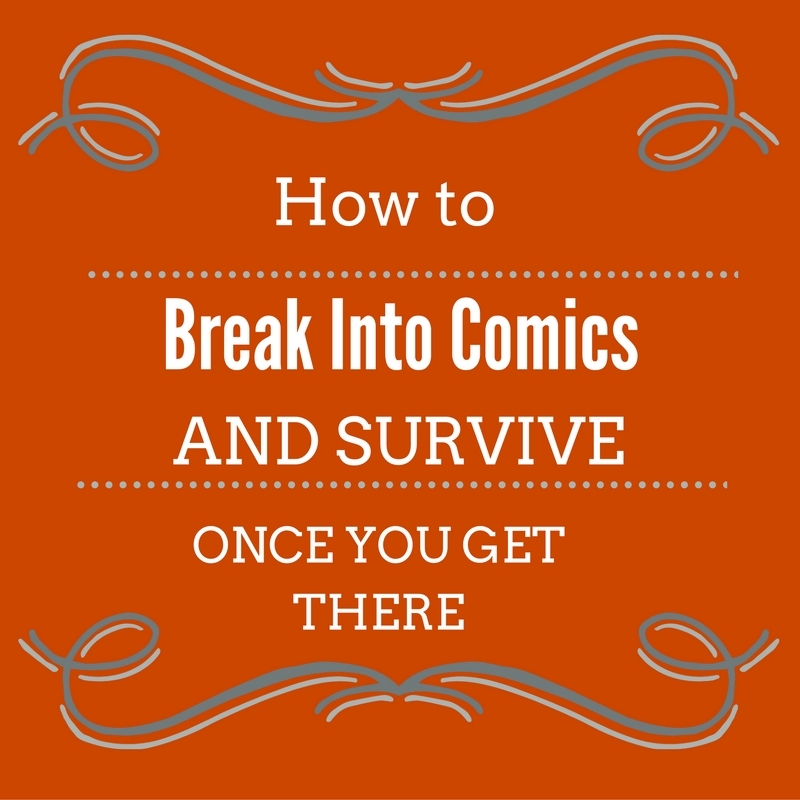 James Parks is a speculative fiction writer and graphic novelist living in the Bay Area. In addition to Rickety Stitch, James is the author of the southern gothic horror collection, The Gospel of Bucky Dennis. James was also a staff writer for Campfire Graphic Novels and is currently a member of the Horror Writer’s Association. 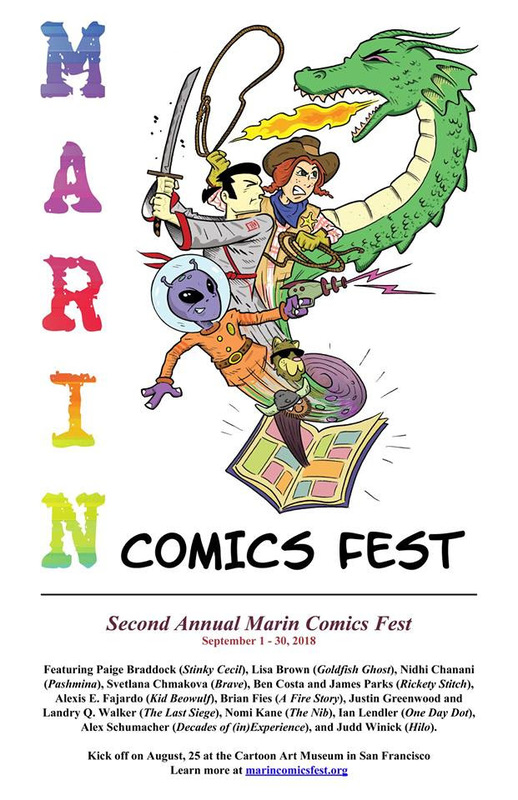 The Marin Comics Fest is supported by the libraries of Marin County and the Cartoon Art Museum in San Francisco. The Cartoon Art Museum regularly hosted professional cartoonists on a monthly basis as part of its Cartoonists IRL program or In Real Life (formerly known as Cartoonist-in-Residence), visitors can observe cartoonists at work and engage with them directly while cartoonists are able to share their passion and process and vend their latest and most well-known projects. 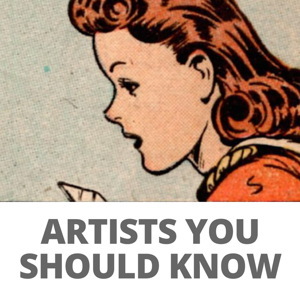 Want to become the next Cartoonist IRL? Please fill out an application!